The Certified Interior Decorating Specialist (CIDS) National Certification exam designation will demonstrate that as an Interior Decorator, designees have made the commitment to their clients to become educated on the most updated skills necessary to focus on the aesthetics of a space, while improving the visual and functional living spaces in design projects. Certified Interior Decorating Specialist (CIDS) careers involve creatively planning living and business spaces for individuals and businesses. Employers, including interior design firms and clients who hire Interior Decorators, increasingly expect candidates to have some formal education and training. Certified Interior Decorating Specialist (CIDS) are typically hired by small and large firms or work as independent contractors. According to the U.S. Bureau of Labor Statistics, the interior decorating field will grow faster than average by 2018 due to a growing interest in good design in homes and businesses. 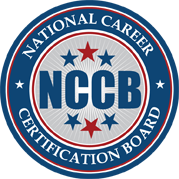 Attaining the National Career Certification Board’s (NCCB) Certified Interior Decorating Specialist (CIDS) designation can lead to advancement opportunities for interior decorators and display to potential employers and clients that you committed to knowing the most up-to-date skill set needed for various interior decorating projects. The benefits to becoming a Certified Interior Decorating Specialist (CIDS) may include more job opportunities, higher wages, and increased job security.